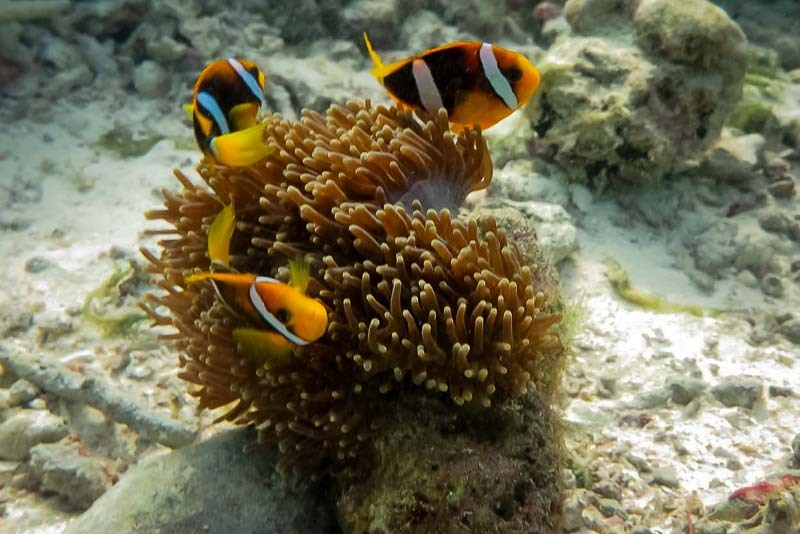 Since starting to use S-presso (INVE) enrichment to grow both the Rotifers and Artemia foods, we noticed faster growth and improved survival rate in our Clark’s Clownfish (Amphiprion clarkii) juveniles (compared with the “Selco” enrichment, used previously). 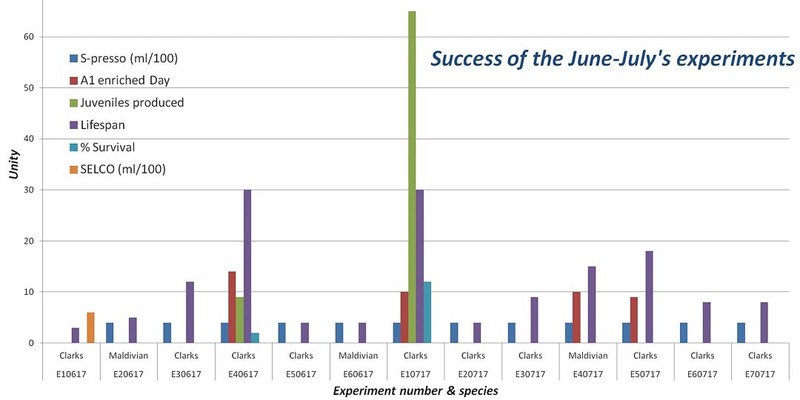 Clark’s production was the highest so far this year, with 74 new juveniles growing at a fast growth (juvenile metamorphosis at day 16 – 18). We have also stopped using algae for any enrichment during the fish larvae rearing process, giving good results and less cleaning work in the rearing tanks. 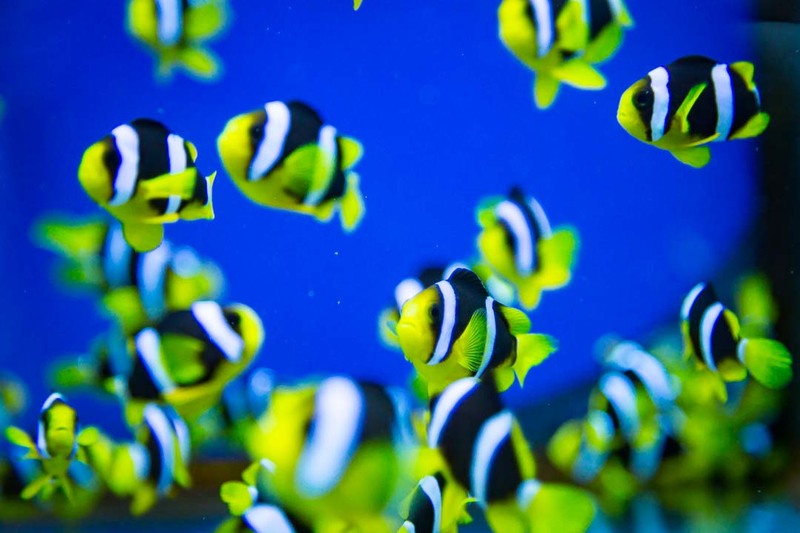 Juveniles older than 30 days ‘graduate’ from the fish nursery to the general clownfish population of our Fishlab. no overnight AC, to maintain the temperature at 28°C. During July, we started growing two news strains of micro-algae from “Green Sea FRANCE” (Tetraselmis SA/106 and Nanochloropsis SA/101) with a new vitamin solution (0.5g/L B12 cyanocobalamine; 10g/L B1 thiamine). During June-July, we received over 75 submissions to our national turtle ID programme, mostly via our Facebook group. 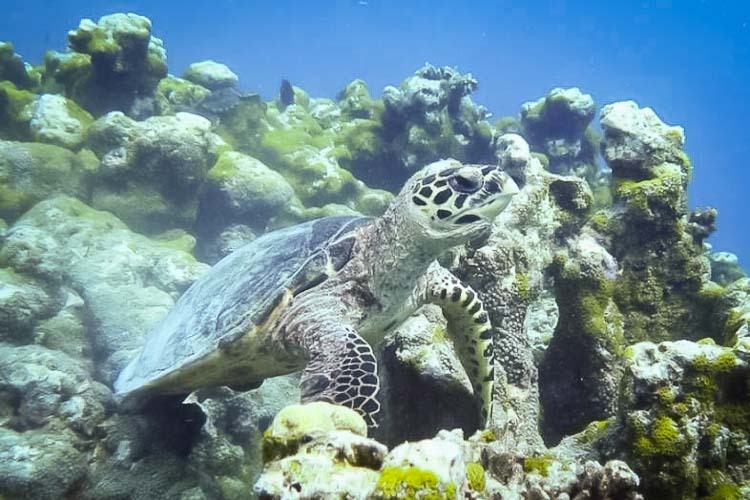 From these photographs, 21 new turtles (20 Hawksbills and 1 Green turtle) were uniquely identified, and we added a further 54 good quality re-sightings of existing turtles in the database. 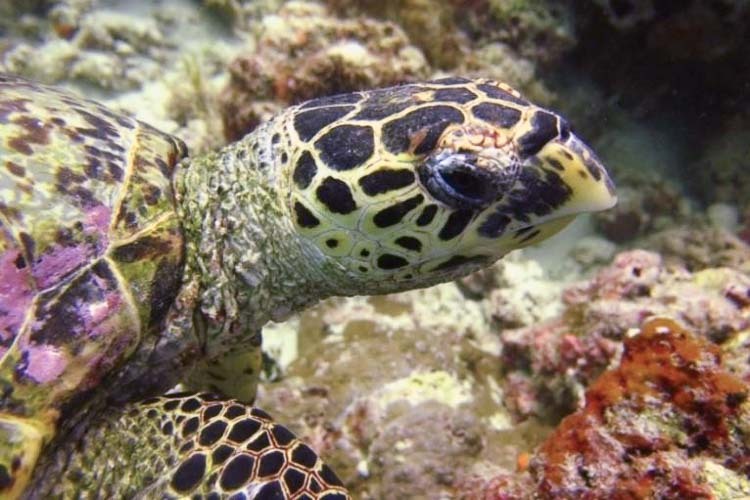 This takes our total number of identified Hawksbills to 966 and Greens to 144 individuals. 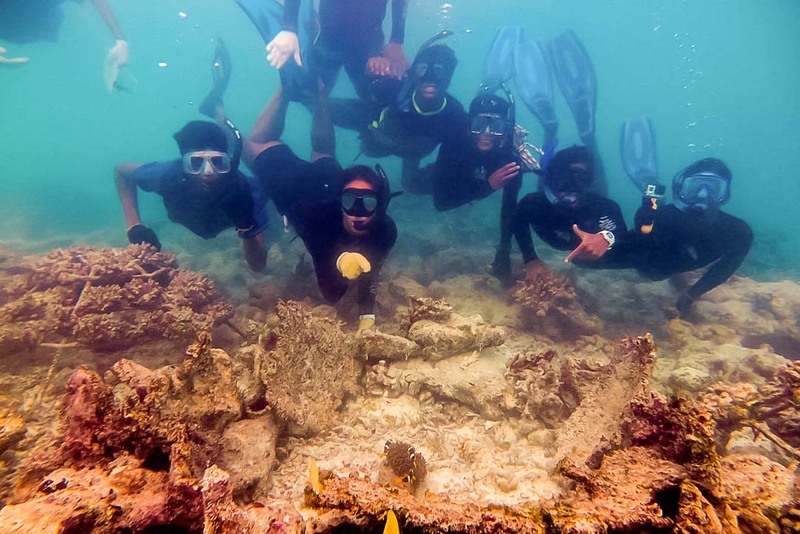 Our original 5 sea anemones, taken from Kamadhoo Reef back in February, have now been bisected and grown into 13 healthy individuals. 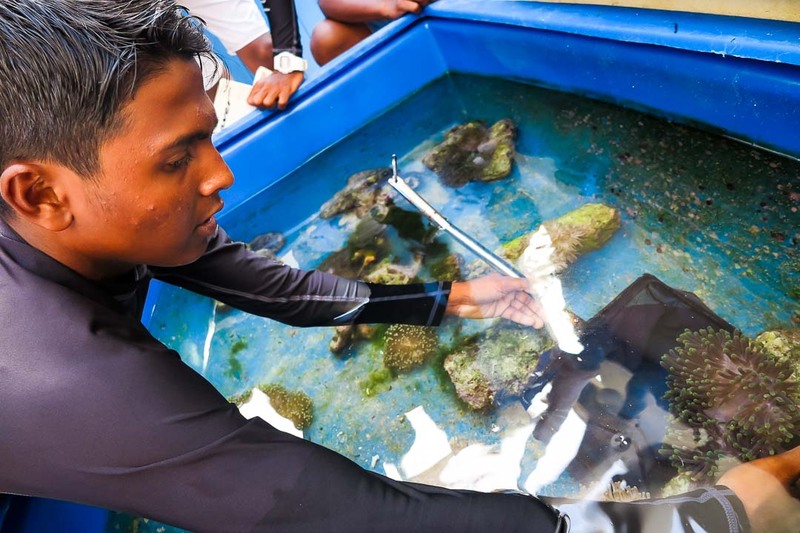 We worked with our resort apprentices to plan a controlled release of 4 anemones and 9 Clark’s anemonefish (on July 15/22/23rd), to create practical science projects as part of their marine biology training. 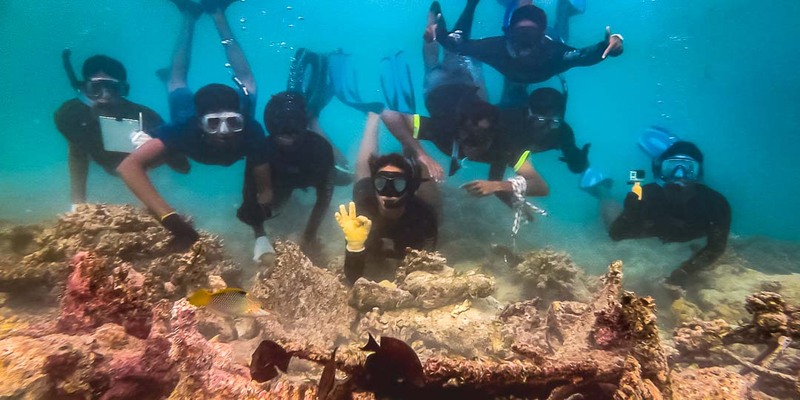 The three teams of apprentices tested different methods of releasing the clownfish back into their natural environment, and proceeded to monitor their survival and progress. 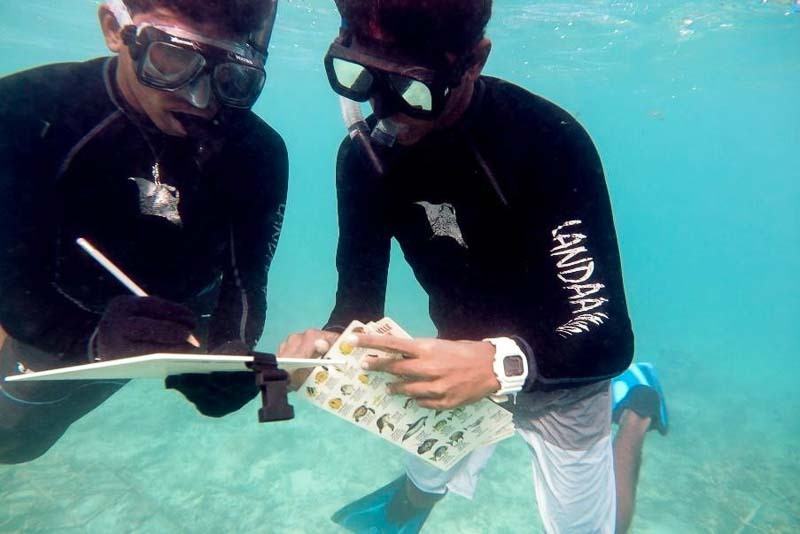 Unfortunately, some Clownfish are already missing (possibly eaten by predators) but we hope the experiment will yield useful results to improve future releases and enable us to create a standardised release protocol.